Famed actor Benedict Cumberbactch (Sherlock, Star Trek: Into Darkness, The Imitation Game) returns to PBS’ Masterpiece this Sunday night, but not in his familiar role as the world’s most beloved detective. Cumberbatch stars as author Stephen Lewis, opposite Kelly MacDonald (Brave, The Decoy Bride, Gosford Park) in this thriller, which sees Lewis on a desperate search for his daughter Kate after she mysteriously disappears. Things only get worse when Kate’s disappearance and the search for the little girl ends Stephen’s marriage with Julie (played here by MacDonald). His three-year-long search for Kate is only one of his problems. He also has to deal with his best friend Charles Dark, who has resigned from his cabinet position and gone to live with his wife Thelma. It is that situation that leads to the story’s climax, which is then followed by another surprise. USA Network’s one-time hit music series Night Flight is coming back…sort of. IFC recently partnered with the show, which aired on USA from 1981 to 1989, resurrect the program. In its new presentation, Night Flight will be a short-form show, presenting the series’ most memorable moments. That includes iconic interviews and performances from some of the music industry’s biggest names of the 80s. In honor of the series’ return, IFC will host a 90-minute screening event on Thursday, April 19 at 7 p.m. at Brooklyn’s Alamo Drafthouse. That screening will feature some of Night Flight‘s best and most memorable moments and a Q&A session to follow with Night Flight creator and producer Stuart S. Shapiro. Night Flight was originally resurrected in 2016 as Night Flight Plus, a streaming channel from the series’ original creators. it is still available today online via Roku, Apple TV, Amazon Fire TV and Chromecast. Those episodes include a number of extras courtesy of MVD including material from the world of music, documentaries, animation, cult film, horror and more all at a cost of $39.99 annually. Slayer is giving audiences one more high-powered metal treat before it hits the road for its farewell tour. The band announced this week that it will release a limited edition vinyl box set pressing of its now final album Repentless this summer. Repentless: 6.66 Inch Special Collector’s Edition Vinyl Box Set will be released fittingly on June 6, International Day of Slayer. The box set will be available in separate black, red and gold-colored vinyl pressings, with only 2,500 copies of each box set produced worldwide. The sets will consist of six single vinyl EPs, each measuring 6.66 inches in diameter, and each will contain two songs from Repentless. The red and black disc sets are expected to retail for $66.66 and the gold set for $73.99. Pre-orders are open now. The announcement of the new limited edition box sets is just the latest big news from the band as it prepares for its end. It will hit the road one last time beginning May 10 for an extensive worldwide farewell tour. The schedule for the tour’s first two legs — each consisting of dates across North America — is noted below. Hatchet is giving audiences their first preview of its new album. The band on Thursday debuted the video for its new single, ‘Desire For Oppression.’ The song is the first single from the band’s forthcoming album, Dying To Exist, which is currently scheduled to be released June 22 via Combat Records. The video takes audiences into the studio as the band records the song to help illustrate the creative process currently under way on the band’s new album. Pre-orders are open now for Dying To Exist. It will be available on CD, vinyl and various bundle packages. ‘Desire For Oppression’ is not only the lead single from Hatchet’s new album, but also the opener for Combat Records’ forthcoming compilation 2-disc set, Combat Bullets Vol. 1.0. The compilation will also include music from Dead By Wednesday, Marc Rizzo (Soulfly), Dead By Wednesday and many others. 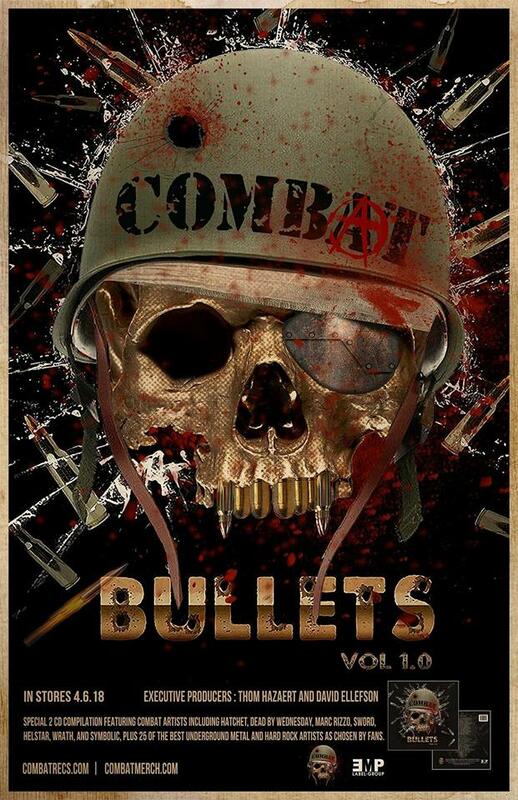 Combat Bullets Vol. 1.0 is currently scheduled to be released April 6 via Combat Records. 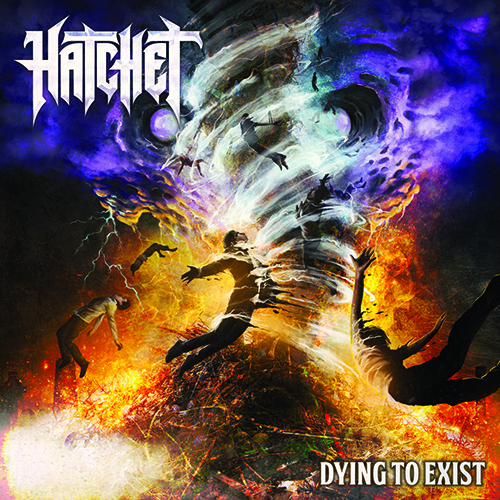 More information on Hatchet’s new single and video is available online now along with all of the band’s latest news and more at http://www.facebook.com/hatchetofficial. To keep up with the latest sports and entertainment news and reviews, go online to http://www.facebook.com/philspicks and “Like” it. Fans can always keep up with the latest sports and entertainment news and reviews in the Phil’s Picks blog at https://philspicks.wordpress.com. The Empire is rising again! 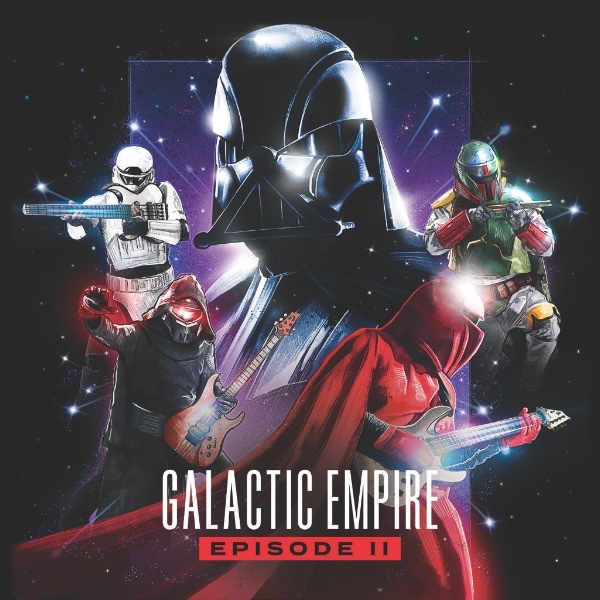 Galactic Empire announced Friday that it is working on its sophomore album, aptly titled Episode II. The album is currently scheduled to be released on May 4, 2018 via Rise Records. Pre-orders are open now. In anticipation of its release, the band has debuted the album’s lead single ‘Scherzo For X-Wing’ via Rise Records’ official YouTube channel. The song takes the band’s familiar Powerglove-esque sound made popular on its debut self-titled album and used it for a familiar sound in a brand new arrangement. The band said in a collective statement that it is highly anticipating the release of Episode II. The full track listing for Episode II is noted below. The Amsterdam Red Light District has finally returned. 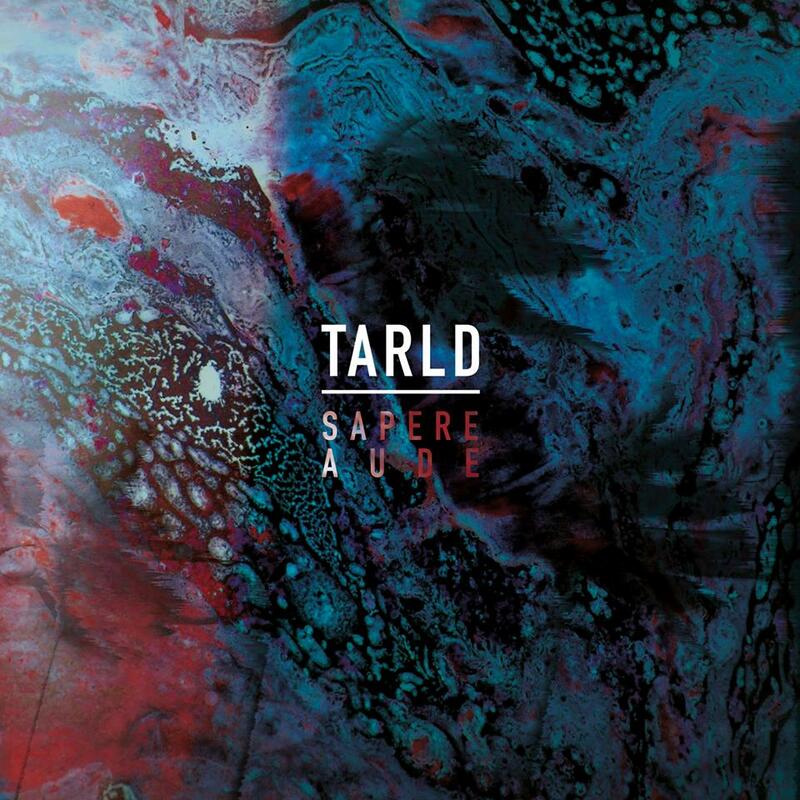 Early this month, the band released its latest album Sapere Aude. The band’s third full-length studio recording, this 10-song record is another solid new effort from the French four-piece and another work that shows the independent music scene has just as much to offer audiences as the mainstream realm. This is made obvious right off the top in the album’s opener ‘Nobody Moves Like You.’ It will be discussed shortly. ‘Carry On,’ the album’s mid-point — and possibly the album’s best offering –also shows what makes this record so strong. It will be discussed later. ‘Evil Stakeholders,’ the album’s penultimate track, is yet another example of what makes this album so impressive. It will also be discussed later. Of course it is not the last of the songs included in this album that shows its strengths. The other seven songs included in the album’s body are strong points in their own right here. Those songs, together with the works directly noted here, the whole of the album makes this latest effort from TARLD an easy candidate for any critic’s list of the year’s top new independent albums and hard rock/metal albums. Sapere Aude, the latest full-length studio recording from France’s The Amsterdam Red Light District, is easily one of this year’s top new independent albums and one of its top new hard rock and metal albums. It is another of those albums that shows — over the course of its 35-minute run — that independent bands deserve just as much attention and credit as their more well-known counterparts. This is proven in this album right off the top in the album’s opener, ‘Nobody Moves Like You.’ In regards to its musical arrangement, it wastes no time at all grabbing listeners. Rather, the band launches almost immediately into the guitar-driven opus and keeps the energy full throttle right to the song’s end. That energy is a great compliment to the song’s lyrical content. That’s because,as it would seem, the song is one of those works that centers on a woman. That is inferred as front man Elio Sxone sings, “I see a smile growing up on your face/You can close your eyes, but your whole body shakes/Stop looking at me like this/And let your body feel the heat.” He also notes at one point in the song, “Nobody moves like you/You used to be so cool/What the f*** happened to you/You don’t feel different/But you don’t feel the same/I’ll give you something you don’t want to forget.” Considering all of this, the song seems to come across as the song’s subject singing to a woman to whom he perhaps had a connection but maybe no longer does. The Sxone’s energy in his vocal delivery, coupled with that of the song’s arrangement, hints at some pretty strong emotions of frustration and sarcasm; sort of as if this is someone saying, look at what you lost. It’s really an interesting work and certainly a strong first impression from the band this time out. It is only one of the album’s strong points, too. ‘Carry On’ is another of the album’s strongest offerings, if not its strongest. ‘Carry On’ is such an interesting work because as with the album’s opener, the pairing of its musical energy and lyrical content creates yet another powerful overall statement. As with ‘Nobody Moves Like You,’ this adrenaline-fueled rocker is very much a guitar-driven piece whose foundation is only strengthened even more by its rhythm section and Sxone’s powerhouse vocals. It is a song that will certainly appeal to fans of Stone Sour and Buckcherry. That sounds like an offbeat comparison, but those are the first bands to come to this critic’s mind. Interestingly enough, those influences work quite well here in keeping listeners engaged and entertained. This time out, the song seems centered on someone who has just been absolutely beaten down by the world and is struggling just to keep it together emotionally. This is inferred as Sxone sings, “I’m not the man I used to be/I am the one you never wanted to see/It’s not that I don’t like you, baby/It’s just that I hate everybody.” The seeming frustration doesn’t end here. He goes on to sing, “It comes alive when I lose control/My state of mind is so unstable/The only thing I know/You have to stop yelling at me when I try to talk/If you think I’m in trouble/Have you ever felt so paranoid?/The only thing I know/If something strange happens to me/You’ve got to keep control/This world makes me feel like I’m losing myself/If you’ve got a solution/I don’t need your help/Carry on.” Again, this seems to hint at someone who has just been torn down emotionally and psychologically. This is inferred even more in the song’s final verse in which Sxone sings, “I promise I’m not as bad as you think/If I don’t know myself, how can you know me anyway/My clear mind is doomed/F****** locked in a room.” This is a pretty strong statement, and one that is certain to reach plenty of listeners. What makes all of this so much more interesting here is that it’s not one of those brooding, goth songs that it could be, considering this wording. Instead, Sxone and his band mates have crafted a song that captures the frustration of someone angry over dealing with this seeming instability, someone who wants some form of stability. This makes the song all the more engaging for audiences, and in turn all the more clear an example of what makes the album in whole stand out. Even as strong as it is, it is not the last example of what makes Sapere Aude another enjoyable effort from TARLD. ‘Evil Stakeholders’ is one more example of what makes the album so impressive. ‘Evil Stakeholders’ speaks for itself just from its title alone. This is a sociopolitical commentary on the current state of the world. It expresses both musically and lyrically, anger and frustration at what the world’s political and other leaders have caused to happen to the planet’s people. Sxone sings here against a metalcore style arrangement, “I try to understand what they’re telling me on TV/Remote control in my hand/Are they watching me?/Spending our time like a flock of sheep/Mind your step/Keep your head up and follow me/Can’t you see that they try to split the world/Spreading their words/Tell us we can’t live together/How can’t you see/Look at me/I cannot breathe anymore/Who is right, who is wrong/How many tons of evil stakeholders/Now don’t you feel paranoid?” He goes on in similar fashion from here on out, even indicting those leaders for trying to bribe the masses to get the votes. Once more, Sxone and company have crafted another powerful statement here, a statement that is just as relevant today as it has ever been. A statement that likely will be relevant for decades to come, sadly. That statement, when coupled with its musical counterpart, goes a long way toward showing even more why the song stands out in this record, and why the record in whole stands out. It is a work that both musically and lyrically is certain to appeal to audiences around the world, yet still not the last of the album’s notable works. ‘Need,’ with its Prong-esque arrangement and commentary on capitalism and consumerism is another stand out effort, as is ‘Over The Fence’ with its defiant call to action against those who control the world and ‘Wild Life,’ which seems to encourage individuality versus being just another drone in the masses. Between those songs, the works more directly noted here and the remaining four songs not discussed here, it becomes clear what makes Sapere Aude a strong new offering from a great independent hard rock band. 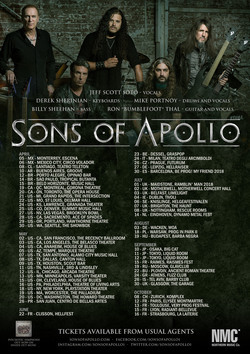 Rock super group Sons of Apollo has a new release available now. The band has released a new six-song EP promoting its new single ‘Alive.’ The EP –essentially a maxi-CD — features the album take of the song as well as a radio edit, exclusive acoustic take and three companion Spanish language takes of the song. The Spanish language versions, like the English language versions, are the album take, radio edit and acoustic take. The record’s release is in anticipation of the band’s upcoming Latin/South America tour, which runs from April 5 to April 15. The tour includes performances in Mexico, Chile, Argentina and Brazil. Along with the sing’s special new release, the band has also released a Spanish language take of the ‘Alive’ video, which is streaming online now here while the English version is streaming here. Front man Jeff Scott Soto (ex-Journey, ex-Yngwie Malmsteen’s Rising Force, SOTO) said of the single’s Spanish language release that it was intentional, and that his vocals were in fact his own, rather than overdubbed. Bumblefoot, properly known as Ron Thal (ex-Guns N’ Roses), said he was especially optimistic about audiences hearing the song’s acoustic take. While the band is currently pushing its upcoming Latin/South America live dates, they are not the band’s only dates. The band also has a North American leg that runs a little more than a month from April 19 in Montreal, Quebec, Canada to May 26 in San Juan, Puerto Rico. That schedule will be followed by an extensive European schedule that takes the band through summer and fall. Drummer Mike Portnoy (ex-Dream Theater, Transatlantic, Liquid Tension Experiment) said of the live dates that he has been anticipating presenting the band’s new album live. The band’s current tour schedule, including its upcoming Latin/South American dates, is noted below. 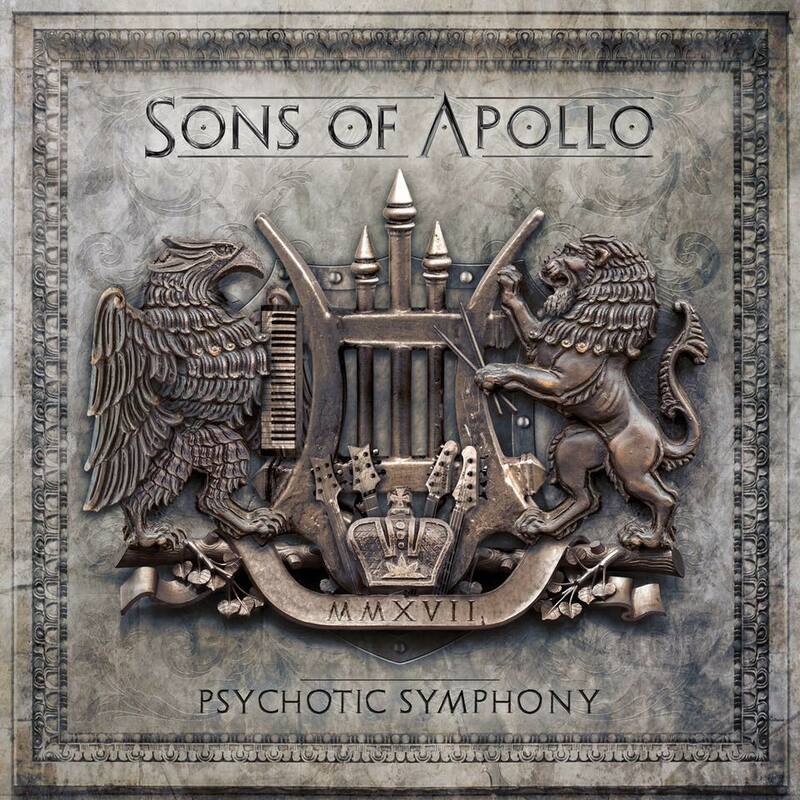 * A Very Special Evening with SONS OF APOLLO and the Plovdiv Psychotic Symphony.